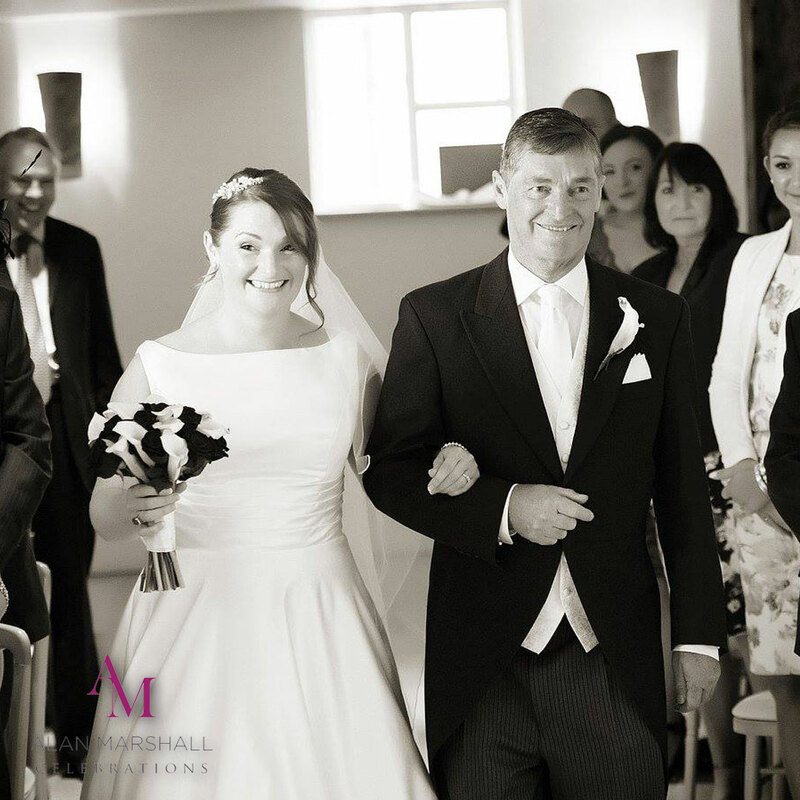 As a Hampshire Wedding DJ I have facilitated over many wedding cake cuttings & always found the whole thing a little lacking in emotion to say the least, until I travelled out to America to train as a Master of Ceremonies & started researching the tradition & ceremony. Since wedding cakes were originally more like breads, their symbolism draws on the ancient idea of breaking breads a ritual of union. Sometimes a bread-like cake was literally broken over the bride’s head to symbolise her break with the past. In Scotland, there is a tradition to break good Scottish shortbread over the bride’s head. Cutting the cake is the first task the married couple undertake together – and one that is inevitably caught on camera, though that is the case it can be more than just a photo and include some of the meaning and tradition. Eating a piece of your wedding cake ensures a happy marriage, and its even better luck for the couple to eat the first piece together. In fact, the oldest wedding ceremonies known to man were nothing more than a couple sharing some kind of ritual food to signify that they vowed to share everything else for the rest of their lives. Thanks to the fact that the wedding cake is now such a huge part of any ceremony, it is important that you get the cutting of it right. 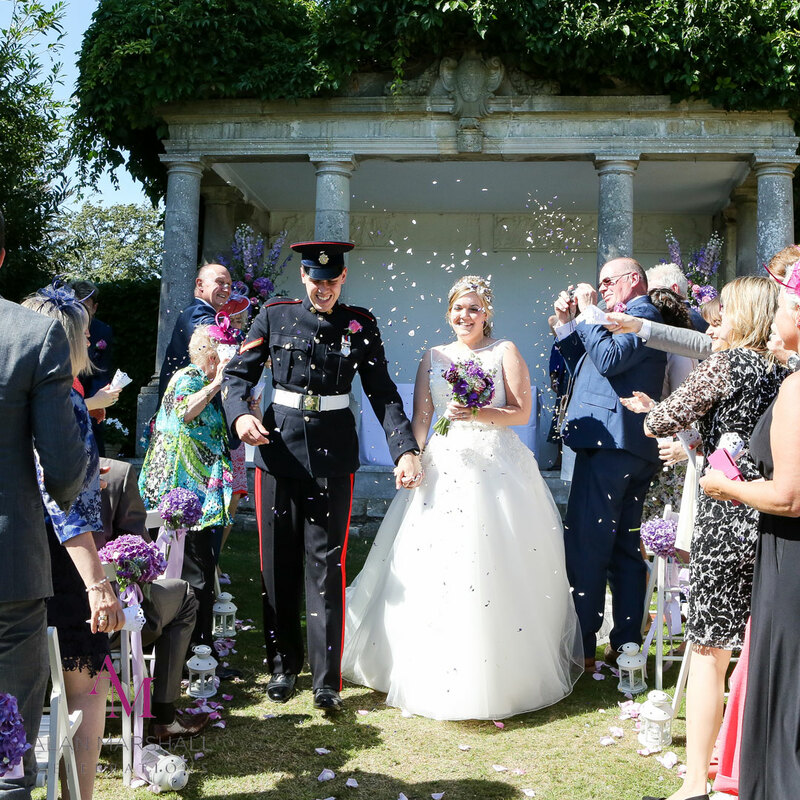 Everyone knows that this happens during your reception, but far too many couples simply add it onto the end without thinking about what it should be – an event in its own right. Too many couples do a quick countdown and then cut their cake, but it needs to be so much more than this. speeches. At the end of these, whilst everyone’s attention is held, the happy couple will be able to stand up and cut a slice of cake. It is important that they don’t stand in the way of the cake, so that the guests are still able to see what is going on. The delivery of the event is important, too. Cutting the cake is something that is all too often simply stuck onto the end of the speeches, without remembering that it is a very important event itself. In order to make an event of it, it is a good idea to choose some music that goes with the occasion, or maybe even play a short video of the happy couple – which could be a quick slideshow of photos or clips – before the cake is cut. 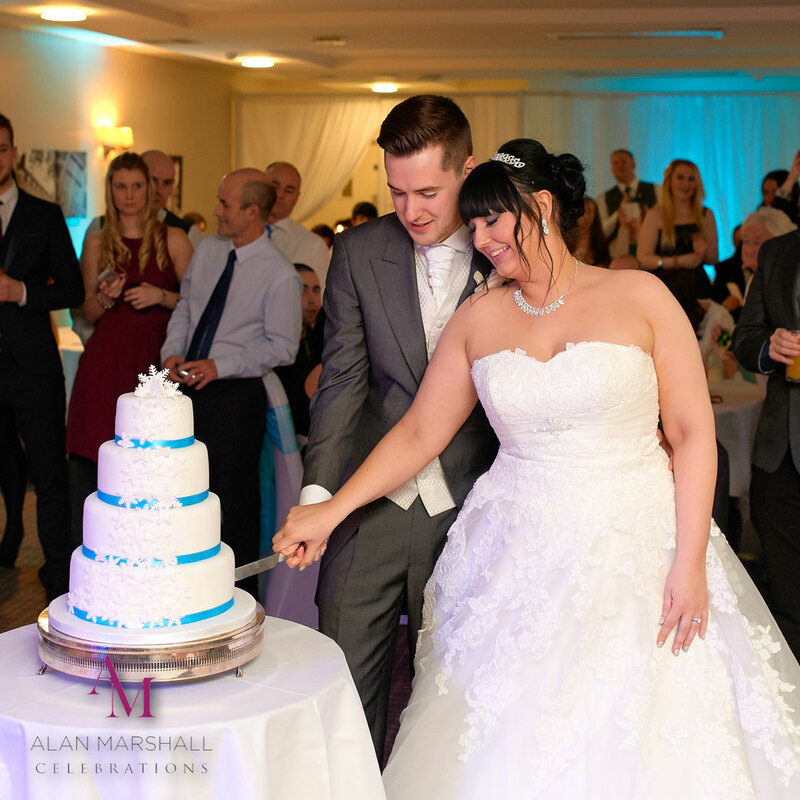 It is important that everybody is able to get a slice of the cake before they leave your reception, so once the cake is cut up it should be placed where people are able to get some, most likely on the buffet table. It may be a good idea for slice of cake to be physically taken around the tables, as this means that it less likely to be forgotten about. Traditionally, couples save the top tier of their wedding cake for the christening of their first born child, and because this tier is not being sliced, you have the option of displaying it for the rest of the evening somewhere that it could be admired. Alternatively, there is also the option of cutting the cake later in the evening. It could be a good way to get everybody gathered round before the last dance, and would mean that there was something to aim for at the end of the night. In addition to this, it would give the chance for the cake to be cut during the last dance, meaning that each of the guests could be handed a piece on their way out of the party. This is a sure-fire way to see that all of your guests are given their slice, and it can be a rather nice wrap-up to the party. Like everything else during your special day, you should make the cutting of the cake an event to be admired. It gives your guests something that they can be happy about, and will make sure that your wedding is a day that everybody will always remember.